Note: This post was part of the “Marketing That Works” Ideas Contest, showcasing 20 of the most innovative marketing ideas from the blogosphere’s up and coming marketers. We’ve since picked a winner–check out this post for the details! We’ve updated this post, because guest blogging is still an effective strategy, and the process described here makes it fo so much faster. Try it and see for yourself! 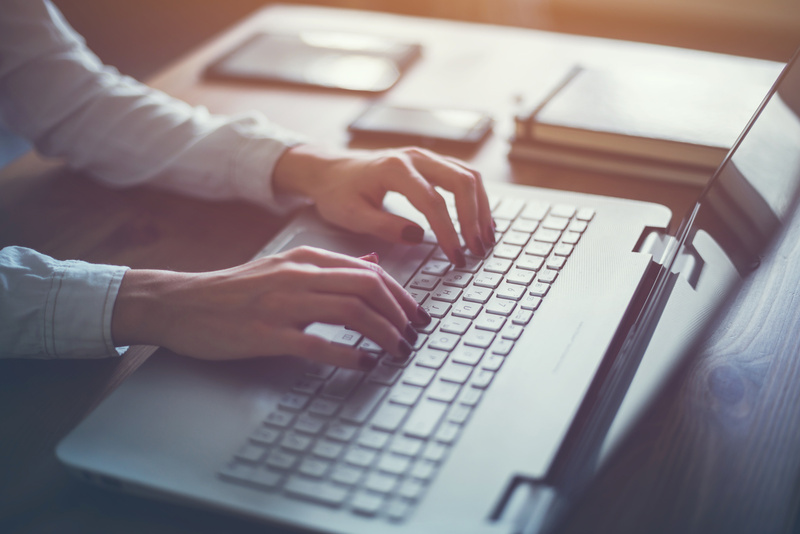 Guest blogging works best when it gets you in front of the right audience. A quality guest post in front of your niche often generates a quick spike in traffic (usually pretty good ones!) or increase in sales, not to mention long-term relevance to your brand. And, from an SEO standpoint, Google’s algorithm makes that Super Mario extra-life sound every time it sees a quality link pointing to your site from a reputable domain. They are simply some of the best links you can get, and your keyword rankings will increase with an influx of these types of links. However, if anyone has tried guest blogging, they know that it is an exhausting and time-consuming process. That is, unless you do it my way…. ? You could spend hours finding targeted websites, harvesting the correct contact info, and then emailing each webmaster or blogger. From my experience, getting five emails off in an hour would be an effective output. Then, you can expect 1 or 2 responses and perhaps one guest blog spot. All the while you still haven’t created your amazing content, which can tag on another two to three hours, or more! Although I don’t have a shortcut for writing amazing content (I wish I knew that one as well), I have mastered the most effective way to reach out to guest blog opportunities. I hope you’ll give it a try and see if it works for you, too! New to guest blogging? Get our free guide! First, you will need a link prospector tool. There are plenty of these on the web (simply Google “link prospector tool”), but I haven’t found one better than Citation Labs’ Link Prospecting Tool. The tool is simple to use. You enter a couple of keyword terms that you are looking for in blog content, and then it searches for relevant blogs. In my case, I was optimizing for tech-savvy Apple keywords like bamboo iPhone covers, for one of my personal websites. I knew that my product would appeal to the Apple enthusiast audience, as well as the environmentalist-tech savvy niche (because bamboo is sustainable). So I used these terms for my search: iPhone, apple blog, iPhone case, eco-friendly, bamboo design. The next day, the report was generated and I exported a list of over 2,000 domains of qualified niche-related websites and blogs. The list isn’t perfect, so I went through and eliminated 300 or so of the domains before I began the prospecting process. SimilarWeb – Use this to find websites similar to yours or the top sites in your niche. Next, I created a Gmail account specifically for guest post pitching. I went into the Gmail Labs tab and turned on canned responses to enable a feature to send email templates. Here’s the email template we teach our guest posting students, that you can adapt when you create your own canned email to pitch your guest posts. Then, I simply go down the list of domains on my prospecting list and find the contact information of the webmaster or blogger. Typically, there will be an email address listed on the site, but you might have to resort to using their Twitter handle or web contact form instead of emailing them. While I’m looking for the correct email address, I make a small observation about their blog and put it in my notes on a master guest blog spreadsheet (to add a personal touch when you email them). You can take the automation a step further and use a contact finder tool that crawls websites for contact information. Most of the contact finders I have seen are paid, and again, I have tested a couple and have found the Citation Labs’ Contact Finder to be the best. If you do go this route, don’t completely rely on the contact finder tool, or you will overlook hundreds of great opportunities. You still need to validate emails manually. From my experience, the contact finder tool scraped about one-third of the domains successfully. On the other hand, it can complicate the process, since it crawls every email address it finds on a domain (you know how many email addresses the Boston Herald website has?). 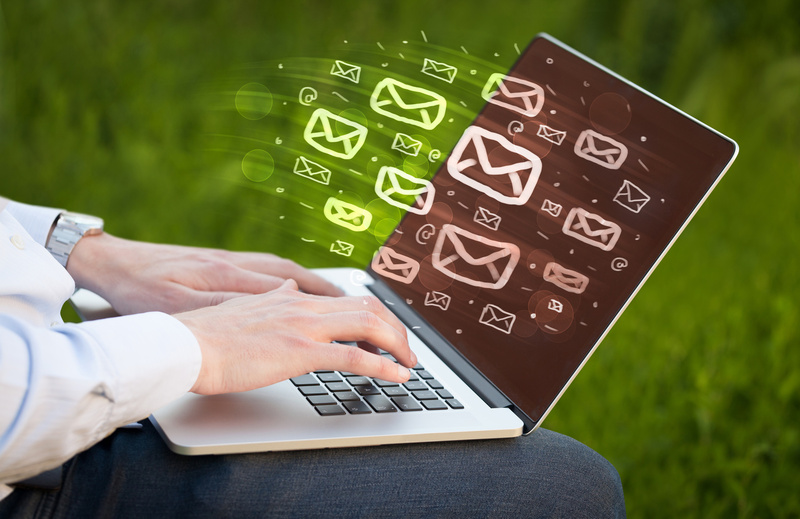 It can be time-consuming to go through and clean out all the extra email addresses. However, this process does save a lot of time as well. Finally, I go down my spreadsheet and email each webmaster or blogger on my list. Since I have the general email template saved inside my email via canned responses, I automatically paste that into the email and I make a quick addition to put a personal touch about their blog (this is where the notes come into play). Using these steps, I’m able to reach out and email about 50 guest post prospects an hour. This includes the time spent creating the list, cleaning the list, finding the contact information, and emailing. Using these techniques, in addition to a contact scraper, my output increased to over 100 guest post pitches an hour; however, the quality of the prospects declines, and the rate of response goes down as well (no personal touch, not the correct email address on domain, etc). Is This Process Worth My Time? Using this process, I’ve been able to get my product in front of iPhone audiences, environmentalists, even high-traffic blogs such as ReadWriteWeb. These are ideal platforms for my product to gain momentum. Brainstorm the news channels or niche blogs where you would love to contribute. What niche or specific audience would be ideal for your brand? Remember, most blogs won’t let you be over-promotional about your product and service, so be prepared to contribute amazing content in exchange for a brief mention of your service and a link in your author bio. Guest blogging is still well worth it. If your content is great, people will notice the brand you represent. And from an SEO perspective, a link from a relevant website is a high-quality link. Find a link prospector tool. Enter 3-4 search queries in the tool pertaining to your niche or target audience. Export results (may take a day to generate a report) to an Excel spreadsheet. Filter the results and delete unrelated domains. Harvest domain email addresses and make annotations of blogs and websites. Optional: Use a contact finder tool to scrape email addresses. Email prospects, using a Gmail Canned Responses template. Add a personal touch to each email to convert more opportunities. Keep track of all your guest post progress on an Excel spreadsheet or Google Docs. Write amazing content and get published on relevant, quality websites. Enjoy exposure for your brand and spikes in your organic keyword traffic. Hope you enjoyed my “Innovative Marketing” submission. I felt it was worthy to share because this simple, actionable technique has doubled my organic traffic from targeted keywords in two months, and has delivered exposure to my product brand that is very difficult to find elsewhere. How are you going to implement this strategy for your company? 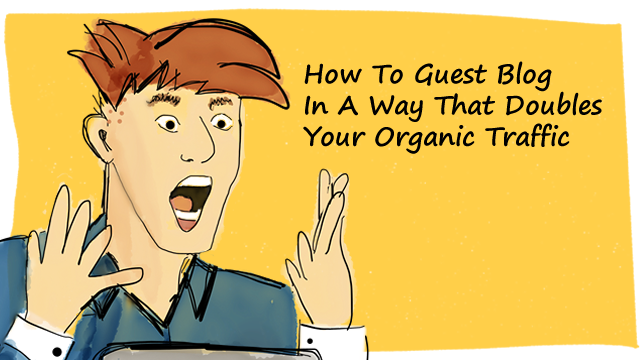 Do you have suggestions on how to guest blog in a way that is more effective? This is probably the best guest-posting systems I’ve encountered. You’re right, this guy is pretty intense. 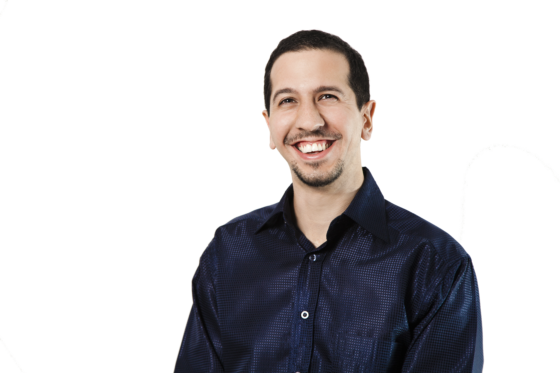 I used to think Danny Iny was going crazy with guest posts, but Jeremy turns it into something automated. Looking forward to learning more from you, Jeremy! What great tips!! You streamlined and optimized the guest posting search process like I’ve never seen before. Thank you !!! Great post- I do have a question If you get 50 blogs that say yes are you writing 50 unique articles- That seems time consuming as well. Why not run keyword searches on Google-indexed blogs with pageranks above 3 instead? The other day I came across some other excellent tips ( or so I thought) but parts of this process knock the wind out of those. Perhaps I can mix and match a bit, and have the best of both worlds. Thanx for the excellent post Jeremey. I definitely picked up a good ‘ole healthy tip or two! @Jason, @Celine, @Gladys, @Lisa & @David : thank you for your kind words. @Lisa yes, fifty blogs is very time consuming. Only personally write guest posts that are on quality websites with a great following (like this one). I could have gone into outsourcing your content, but that would be a whole different guest post. Suffice to say you can find freelance writers all over the Internet, and there are services, like Textbrokers, that specifically have writers all over the world eager to write. With all the panda updates recently, I would strongly recommend you stay away from reused, spun or poor content. It’s fascinating the way you’ve broken down guest posting. Guest posting has become a huge priority for me as of late but just like everyone that guest posts it’s a ton of work. Great post! It’s definitely an effective method and thanks for laying out all of the steps and providing the tools. Just what I was looking for actually as I extend into some more niche sites. @Ryan and @Tom, glad I could help. These are super valuable tips to be able to reach a maximum of blog owners in a minimum time. I will definitely try to use your step list to increase the number of blogs I can reach. Great info. You should post some email scripts to get the bloggers to answer these “cold call” style emails. I’d love to start doing guest posts on larger blogs, but getting replies is so hard! Very well said. So true, guest posting helps a lot in generating traffic but then I do suggest to pay much attention in commenting to the other blogs for faster generation. I’ve always wondered how well those contact scrapers work and actually never knew their exact name until now. I can’t believe it’s only 1/3 of sites they work on well. Doesn’t sound like it saves much time that way. I’d still have to go back and look though the other 2/3 manually. That’s how I find contacts now, just on my own. You’ve really done a lot of hard work in doing research on the subject. No doubt the hard work pays in the end. 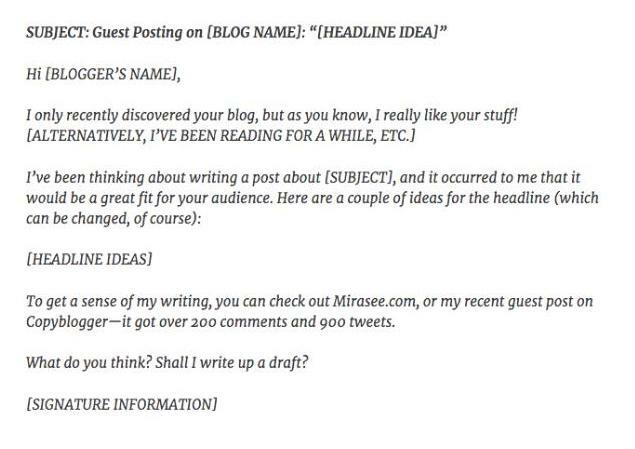 Your suggestions in the article as to how to research for guest posting are wonderful and quite imaginative. Normally people will search for guest post writing in a random and non-scientific manner. Your way of doing it is entirely different and systematic. I personally haven’t begun guest blogging yet simply because it seems like an overwhelming process. I fear doing hours of work with no payoff. It is also a subject I don’t really understand well yet. Thanks for this guide. You made my researh much easier. In my experience, most of the most high-leverage, powerful actions in life are long-term, hard-to-see-benefits, trust-your-gut-moves. Just my experience though, YMMV. Hi, I’m late to the party but this is great advice. I’ve been doing it the old fashioned way, with some success, but you’re right it’s a hard slog. I’m curious to try the automated approach as well as still targetting my identified list of “top 10” blogs to guest post on. Thanks for the step by step advice and links etc. Really useful. i want to ask one question here….is there any way through which we can get traffic to the non blog site ? @Florin Sigh….I wish people were more selective and really sought out their specific niche. The process totally loses its power when one just mass emails to random webmasters. Bad form. Grow your business through Digital Marketing and enhance your product sales. It is a very cheapest way to get customers and increase sales. It is a very famous site which provides digital marketing with good marketing strategy. It helps to promote the business in very short time. 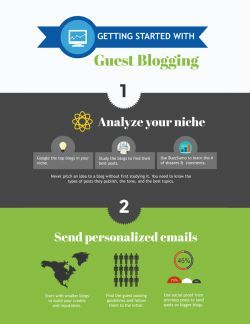 Guest Blogging can be effective in having the right target of readers.Thank you for this blog it will help me a lot. i can submit one article on more guest post Site? I am a blogger and a writer for over about 7 years now, but writing quality articles is what we still learn everyday, I don’t believe anyone is perfect when it comes to it. I visit this website time to time because I want to learn more on writing and get useful information’s all the time. Organic traffic has to do with producing quality content and captivating your fans and viewers, not spending your money on paid traffic that will get them gone sooner or later when they discover you have no good content. Trust me, I am a digital Marketer and i have been writing for years, I know exactly what am saying. Despite organic traffic earns you traffic depending on how much you spend you still need quality contents to keep your viewers. I strongly recommend Mirasee.com, as they have proven beyond measures to be indeed good tutors in every aspect of blogging and writing. thank you so much for your useful post to the people. i really enjoyed your post. Great post! It’s definitely an effective method and thanks for laying out all of the steps and providing the tools. Wow, well written Post. I like this Post. Thank for sharing. Keep sharing. Excellent information. Thank you so much for your great post and explanation is really very awesome. Great post. This is very good , thanks a lot. Jeremy – you’ve peaked my desire to start doing guest blogging. Thanks for all the very useful tips on links and techniques to make the process smoother and quicker. Thanks for sharing, Jeremy, this is a great checklist! I’ve also found that actually being active on the blogs where you want to guest post and developing a relationship with the editor helps, especially if you’re trying to pitch to bigger blogs that get hundreds of submissions. Consistently commenting on and sharing their posts, before you even make first contact by email, makes them notice you. It takes more time, but is necessary when you’re trying to publish in really authority sites. If you have the time, it’s worth the effort. If we want to grow our organic traffic, need to focus on building backlinks. It’s the best way to generate more search traffic, even though it is hard work. Guest posting is one of the popular tactics for driving targeted traffic and building authority. It helps to grow our personal brand and if done right can boost our search engine rankings. If we own or manage content for a blog, we’ve probably wondered whether guest blogging will benefit our site. We really don’t want to get penalized from Google for publishing spammy or duplicate content, so we need to make sure we trust the people which we let post on our blog. Some bloggers are skeptical about giving away their content to others. They believe the best use of their time is to create content for their own sites. I agree with them. Working on our own site is the priority. We want our best content to live on our own site as that will give us the biggest benefits in the long run. It will earn all the traffic, links and authority. Eventually, thanks for your wonderful thought. I have a site this is alwas remains on 2nd page of google, can anbod tell me how i pull this up on the top or first page of google and b which means. An Help Will be appreciated, and thanks Amar kumar, for giving idea about backlinks. It is incomplete and I am writing it. Reply me if you are interested to publish it or something more better than it. Guest-posting is important but I believe few people systemize it, when I read your post, it’s just like, Great post- I do have a question If you get 50 blogs that say yes are you writing 50 unique articles. Only personally write guest posts that are on quality websites with a great following (like this one). I could have gone into outsourcing your content, but that would be a whole different guest post. i really enjoyed your post.I was some bad idea about guest blogging. But Now I’m clear how to increase my website traffic by guest blogging. Thank for sharing. Keep sharing. I hope you are doing well !!! We have gone through your blog posts and it’s really good, just wanted to know how we can share our blog post on your website as guest blogger. Please find attached my content for guest Blogging, kindly review and post in you guest blogging site. Your blog is so precious and useful for the people who need this service. As you have used your best skills and knowledge in the blog. I really appreciate your work because this shows the best directions. The words used in the blog is so simple and understandable. Attractive blog motivate me to keep visiting regular on your published blog. As I have also published many blogs for the useful information, so visit on my blog and suggest me to do improvements in my blogs. I will be very thankful to you. Been following your blog from quite some time and would like to tell you that I really enjoyed your articles and blogs. I find your content very informational and would like to seek permission if I could write some content which can be posted on your esteem site as I too write in the same niche and would like to reach out to audiences. If you are interested, then please let me know the detailed process that needs to be followed. I am sharing links to a few articles I’ve written in the past, that I think would appeal to your audience. Really engaging comment sections you have. And I really found it resourceful. For myself, I had to use the templates from marketing tools like Marketo, HubSpot and others to draft my emails. Looking for a source where I’d have so many templates to choose from. Also, for finding emails, you’d find Saleslift.io effective too. Might want to give it a try. Chrome store has some reviews on the tool.